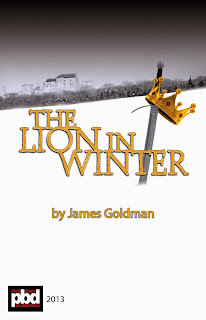 While most South Florida stages are basking in the glow of holiday cheer productions, Dramaworks has chosen to present its antithesis, a play set in the Christmas past of 1183, James Goldman's vision of the Plantagenet family reunion (which actually never happened) in Chinon, France, at the castle of King Henry II, along with his wife, Eleanor of Aquitaine who he has briefly released from a prison exile in England, their sons, Richard (the Lionheart), Geoffrey, and John, as well as France's King Philip II, and his half-sister, Princess Alais Capet. Most of the play circles around alliances made and then broken, focused on which son of Henry's will inherit the throne, who gets what territory, which Prince will marry Princess Alais, or, for that matter whether Henry himself will marry the Princess who is half his age if he can get his marriage to Eleanor annulled by the Pope (who owes him one), whether King Philip can recover territory Henry promised to return when Philip's father was alive, and last but not least, whether Eleanor will be able to secure her freedom from the soul crushing 10 year imprisonment she has endured. As the foregoing suggests, there are endless combinations for alliances between the characters who desperately want to achieve their objectives with the least important factor being family love and loyalty. It is the perfect stuff of tragedy, but this is equally balanced with comedic elements -- sublimely and acerbically written by James Goldman. What a delicious reprieve from the typical Christmas show as behind the facade of the holiday is probably more family strife than anyone cares to admit. The play has the tone of the cynical Stephen Sondheim song from Follies, "Could I Leave You?" and it is no surprise that Goldman and Sondheim were friends and in fact collaborated on Follies, for which Goldman wrote the book. 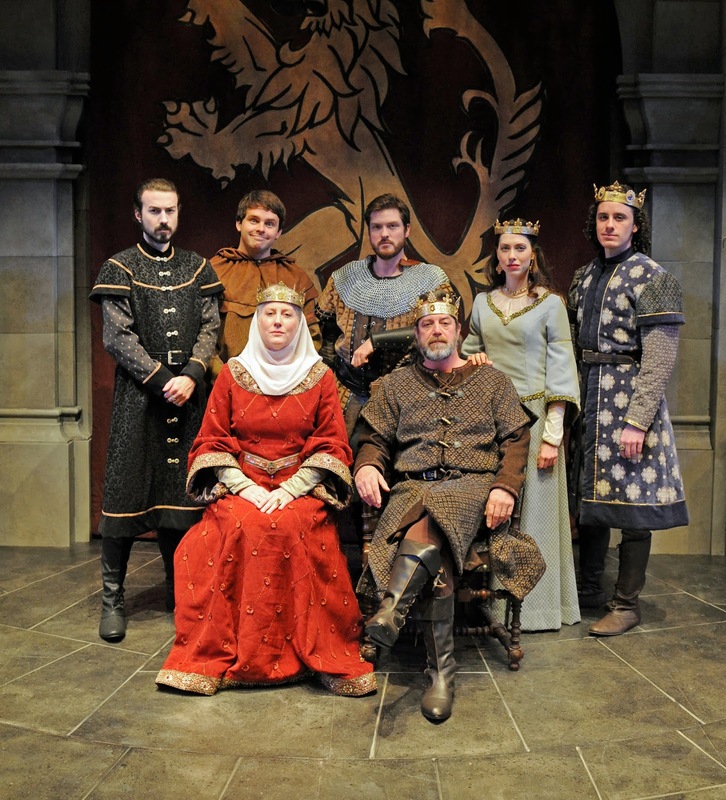 Goldman portrays the dysfunctional Plantagenet family using many factual elements but much of it is totally imagined. They scheme and counter-scheme to the point of exhaustion, mostly out of sheer boredom with their lives, where after a tortuous scene Eleanor hilariously asks, "What family doesn't have its ups and downs?" The themes are as relevant today as they were in 1183. Just think of the mass killings, lack of gun control, family shootings and the kaleidoscopic wars in which our species seems to indulge. At one point Richard threatens John with a knife, John saying "A knife -- he's got a knife." Eleanor's reply to her sons covers war and its microcosm, families: "Of course he has a knife. He always has a knife. We all have knives. It is eleven eighty-three, and we're barbarians. How clear we make it. Oh my piglets. we're the origins of war. Not history's forces nor the times nor justice nor the lack of it nor causes nor religions nor ideas nor kinds of government nor any other thing. We are the killers; we breed war. We carry it, like syphilis, inside. Dead bodies rot in field and stream because the living ones are rotten. For the love of God, can't we love one another just a little? That's how peace begins. We have so much to love each other for. We have such possibilities, my children; we could change the world." The language is so rich and witty, and if there is love, it is of the contest itself, a wonderfully choreographed Tarantella of never-ending verbal slings and arrows. Dramaworks takes this splendidly written work and uses all its expertise to bring the play to the level of a Broadway production, one which may not please everyone as it is a complicated, and sometimes disturbing play. Black humor, perhaps, but there is a certain honesty that prevails. 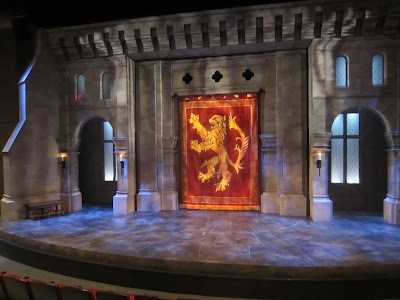 Professionalism shines through in the production, first with the most ambitious set ever undertaken by the company (scenic design is by the highly experienced and gifted Michael Amico), a revolving part of the stage where as one scene is being presented to the audience, the other is being set up behind stage. Goldman's play demands many different scene changes and had Dramaworks not built its mechanized set, the play would have had to be representationally presented or there would have been those dreaded darkened moments while stage hands moved furniture, and this play needs to move along without such interruption. Amico's set allowed Dramaworks to have a perfect scene ready quickly and appropriately decorated with tapestries and furniture, including one with a Christmas tree. The costume designs by Brian O’Keefe deserve a special mention as they are so integral to the play and to the characters. O'Keefe not only did his extensive period research, but made a careful study of the characters themselves, designing each costume for that character's persona, and then constructed each piece by hand. Only the belts and boots were purchased. As a result, both the King and Queen look entirely regal. Their sons can be easily distinguished by their dress -- Richard the Lionheart in his warlike appearance, Geoffrey the middle son having a tight snake-like fitting attire, and the younger, John, who borders on being a buffoon, dressed in almost a potato sack, all these costumes so suitable to their personalities. The young Princess Alais is attired in simple gowns while King Philip's attire reflects his youth, although a King in his own right. As usual, Dramaworks' casting is excellent. King Henry and Eleanor of Aquitaine are played by two experienced Shakespearean actors, C. David Johnson and Tod Randolph, respectively, and their classical expertise makes their presence truly stately on stage. Theirs is a battle of wits and wills and Johnson and Randolph make excellent foils, yet easily fall into each other's arms, recalling their shared past. Richard is played by Chris Crawford, with the authority expected of an experienced warrior, and with requisite relentless ambition to succeed Henry. A Dramaworks veteran, Cliff Burgess, plays the sly Geoffrey with chameleon-like precision, while Justin Baldwin portrays the clueless, infantile John. Katherine Amadeo inhabits Alais with a calculating innocence, entirely in love with and dedicated to Henry, the man, but, still, as a Princess, knows her own mind, holding herself up well to the dominating intellect of both Henry and Eleanor. Pierre Tannous makes his Dramaworks debut as an actor, having been active in the theatre company behind the scenes until now -- playing King Philip, balancing his need to appear regal in spite of his young age. The production is Directed by William Hayes who is also the Producing Artistic Director of the theatre company. Lighting design is by Ron Burns, and sound design by Matt Corey. Eleanor: How, from where we started, did we ever reach this Christmas? Henry: Step by step. It's Christmas, 1183 at Dramaworks!